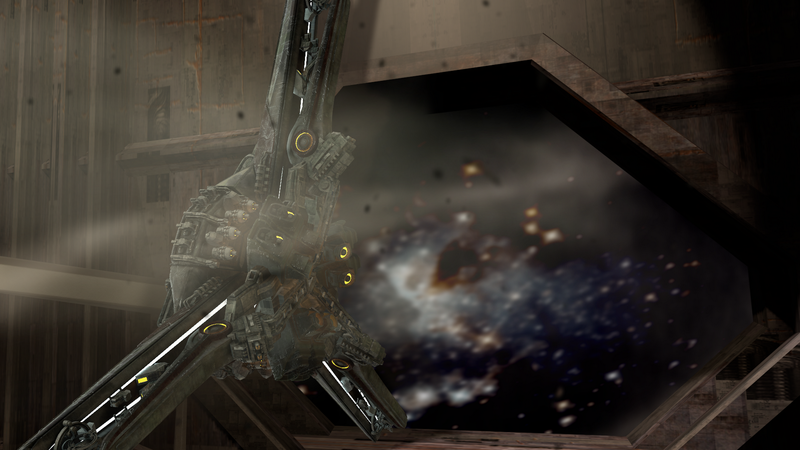 rendering some visual effects for the trailer. The Hercules, an Earthkilling weapon, is flung from the cargo bay of the Prometheus. We got the drive off to the distributor with all the footage (up 'till now). They'll use the footage to make the trailer. And we're uploading visual effects directly to his server. The prep for Sunday's shoot involves making a list of shots the editor (Rebecca Kush) feels we need. The fast, new, PC really is pretty fast when it comes to rendering. What would easily have been an overnight job is now just an hour. Android Insurrection has an IMDB page. We had nothing to do with it. So not everyone's name is on it. If you're supposed to have your name on that picture you should add it to IMDB. You can do that, you know.